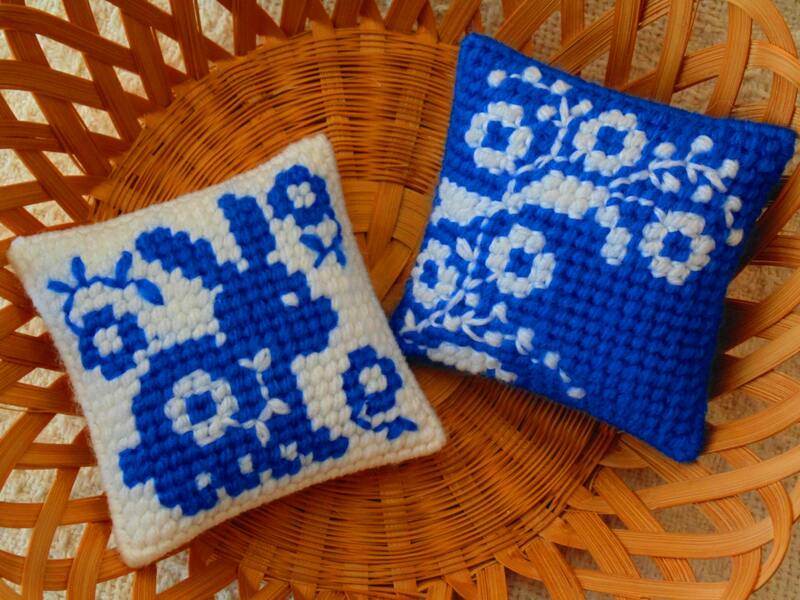 This Delft Style needle art pillow set is stunning! Wouldn't it look great added to your Spring Decor? The bright blue against the white might just match perfectly! Add to a basket or bowl, give as precious gift! Bunny design is stitched on plastic canvas, along with a floral and leaf pattern. Second pillow is stitched similarly with the same flowers on a stem. Each pillow is approximately 3 1/2 inches square. A sturdy and strong design- won't flatten. One of a kind and a unique way to decorate your space! Gentle dusting and spot cleaning only.